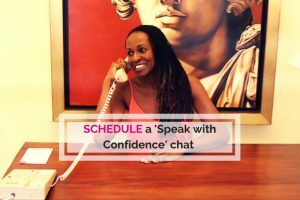 Today, I want to chat about the importance of follow-up, not only in terms of securing public speaking opportunities but also in terms of your business overall. 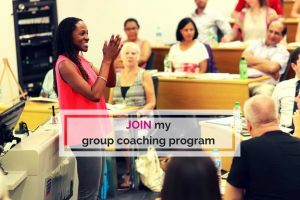 Recently, someone in my Facebook group asked a question about how to follow up and keep prospects warm so that somebody that you’ve met perhaps in June, could offer you a speaking opportunity the following January. Because it can, of course, be very hard to stay on somebody’s radar and keep top of mind. I’m currently working on a new online course called The Business Networking Toolkit. A lot of people choose to grow their businesses using networking as their main strategy and follow up is incredibly important here, too. Let’s talk about why you should be following up, and also discuss some ideas on just how you can do that. 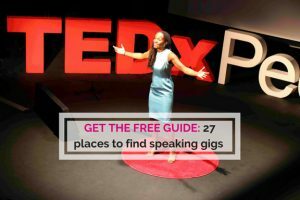 Why bother following up to get public speaking opportunities? You should be following up to stay on somebody’s radar. They may not need someone like you for several months after they met you, so you want to somehow be the first person they think of when the need arises. You need to follow up of course not only for selfish reasons ie to get hired, but also that person is a potential new friend – maybe there’s also the opportunity for social interaction down the line. You’ll never know what your relationship with that person could blossom into. But you do need to give it the opportunity to bloom by staying in touch. Many – me included – can be hesitant about following up because we think we’re being a pest or too pushy. We have to push through that. Quite often, that interaction doesn’t have any specific purpose other than just to say “Hi”. He’s not trying to sell, just saying “Hello”. That’s an incredibly successful approach. It could be something that you can incorporate into your routine or strategy so you can keep up with people over time. You can connect with them via LinkedIn, Twitter, even a quick comment on their latest Instagram or a direct message behind the scenes. There are so many different ways to connect with people nowadays. Whatever it is, you want to keep a note for yourself of the last interaction you had, or have some way of receiving a reminder, such as using a CRM (Customer Relationship Management) tool when it’s time to get in touch again. You can also use online tools to keep a note vital information such as when was the last contact, what was the nature of the contact, and when are you going to contact them again. Or just use a simple spreadsheet. Or you can just set up a calendar reminder, so perhaps once a week or once a month, you have a batch group of people that you connect with. Those are a few ways to keep up with people. The most important thing is that you do so. If you find it hard to do it yourself, perhaps you can have someone like a VA help you. It’s so vital whether you’re looking for business or for public speaking opportunities, or even when you have spoken somewhere and you want to stay on that person’s radar to bring you back again a few months or years later. Stay top of mind by following up!